So I guess I need to do MORE diving! 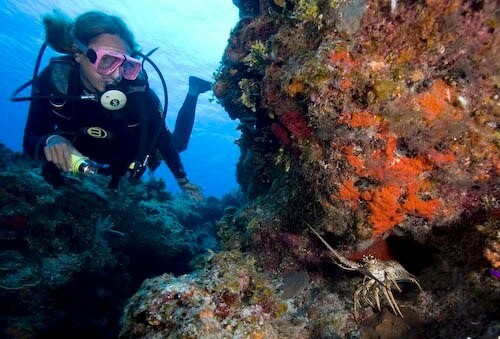 Check out this article from Jennifer Palmer on some great benefits from scuba diving! "SCUBA diving is known as a thoroughly enjoyable and sometimes adrenaline boosting sport, however most do not know that SCUBA diving has many health benefits. Whether you have just started SCUBA diving or you are an experienced deep sea diver, SCUBA diving has numerous health benefits to offer everyone. When we breathe throughout a dive, we tend to breathe slowly and deeply, similar to the breathing we do whilst meditating. Slowed breathing induces a state of calm, whilst the diver enjoys their underwater surroundings. Everything that may be happening to the person in their everyday lives including; work issues, family issues and money worries all get left at the surface. All problems are forgotten during a dive. Having this ‘time out’ gives the body a chance to rest and bring their body and nervous system back to a natural balance. Studies have shown that having a relaxed and calm mind has been known to promote a positive mental attitude, helping you deal with your issues in a calm and rational way without feelings of depression."